Apps dominate our usage of smartphones, but as an app user you should be aware of the type of data apps are taking from you. Even when installing the RailYatri app (a leading and smart train travel app) on your phone, you are asked for certain permissions to access information. These permissions help users enable features in the app and thus creates a better experience. Our users hold immense trust the app and never think twice before giving us the permissions. But some of you might be interested in understanding the real meaning of these Permissions. Though explaining the Permissions in simple terms is quite difficult as they are couched in technical language, still we’ll try to give our smart users an idea and explain the jargons behind those permissions. Before going on to the various permissions accessed by RailYatri app, you need to know what these app permissions are. 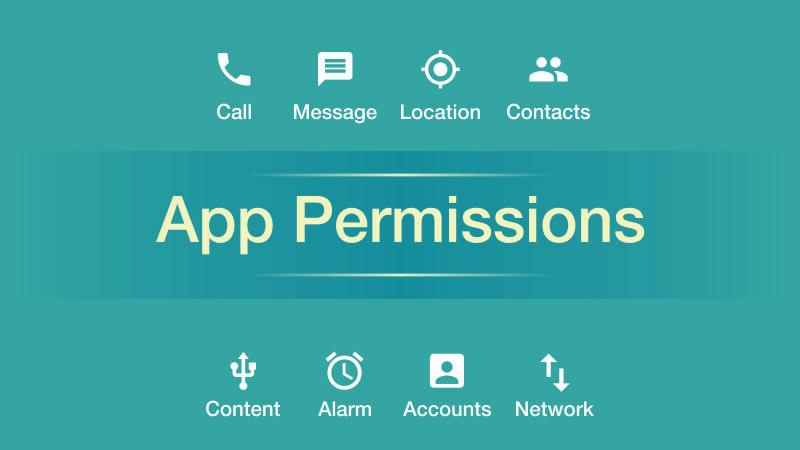 Android app permissions aren’t requests, they are the declarations that android app users require to give access to allow certain features of the app. Without such permissions, one may not have access to the various features that the app possesses. 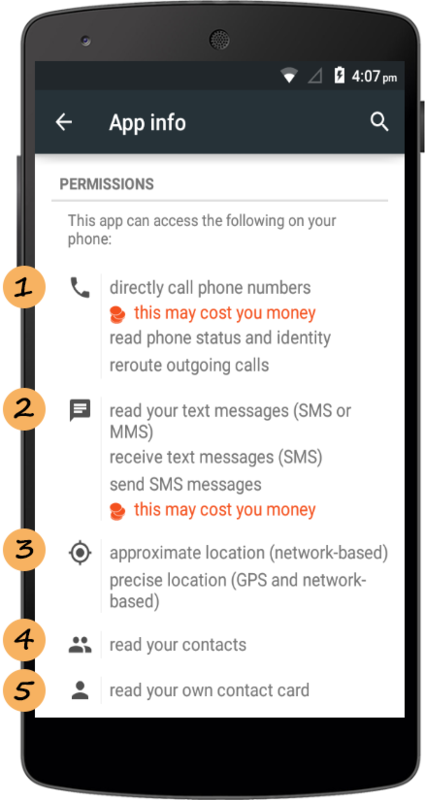 Directly call phone numbers: These features act as a fallback mechanism involving the data verification of the users. Calling is a one-time process and we ensure that it will cost no money. Read your text messages and Receive text messages: No more hassles of scrolling down the PNR and train travel related messages in your phone inbox. With this permission, RailYatri app directly and automatically fetches PNR information and other train trip related messages from your phone and saves it in the app, thus enabling the digital preview of your PNR and train ticket information within a few seconds! Approximate location (network-based) and precise location (GPS and network-based): With this permission, RailYatri app offers you an interactive experience. The Permission allows us to show the real-time location and live map tracking revealing the current location of your train. Furthermore, the Permission allows us access to approximate and precise location is essentially required to enhance your standards of information. Read your contacts: This allows the app to read data about your contacts. This permission allows the app to save contacts data which is essential for app’s social sharing features or to enable sharing a trip with your family and friends (within the app). Relax! This access to information remains within the app and does not involve any privacy breach. Read your own contact card: This is a very fundamental permission to access the basic user profile. It includes reading, identifying and accessing your name, number and other profile information. 6. Modify or delete the contents of our own SD card and Read the contents of your SD card: This will give the app the permission to access the storage on your device in order to save and edit files. This permission is basically required for the offline storage of the train travel content that you may view on your device when there is no Internet access around. 7. Set an alarm: Before you assume it as a wake-up alarm call, WAIT! This permission accesses automatic PNR monitoring in your device through the app, thus enabling with the frequent alerts/notifications every time it detects any changes in the PNR status or alerts of any important information related to your train trips. 8. Find and Use accounts on the device: Every smartphone requires an account setup and its access and connectivity with the device are integral to the way we use our phones, letting us access the account anywhere from multiple apps. So, this permission requires rights to find and use the accounts and potentially access the train travel information on it. 9. Full network access, Internet connections and Receive Data from the Internet: The Internet is the lifeline for modern day travellers. Therefore, the app requires internet access to retrieve RailYatri data from online resources. Internet connectivity is an essential criterion to enjoy the features of this app and thus permission to network connectivity and receiving data from it is required. 10. Run at start-up: This permission is required to resume critical services after device boot up. It means app runs automatically after device starts up. 11. Draw over other apps: Permission used to make sure all important alerts related to PNR or Train Status can be shown even you are not logged in on RailYatri app for that moment or if you are using any other app. 12. Control vibration alerts and alarms & Prevent phone from sleeping: Permission accesses control over the sounds and vibrations of alerts and alarms that app uses to notify its users with important nuggets of information. Usually, when your phone goes into sleep mode, it can interrupt certain processes that are on-going in your app. Therefore, this permission in RailYatri app enables us to keep your device awake while important tasks are being carried out in the app, specifically in-use during live trip tracking. 13. Install and uninstall shortcuts: It refers to installing a shortcut on the home screen when you download the app and run it for the first time. Shortcuts at the home screen make accessing the app simple. Most of the times when a user installs an app, the app is deep buried within a list of other apps in the menu list, making it almost difficult to discover. So it’s always a good idea to make a shortcut right on the home screen. 14. Read phone status and identity: Don’t be scared! Giving this Permission doesn’t mean we can listen to your phone calls. This permission is simply required to check your phone’s compatibility. It allows the application to access the phone features of the device. 15. Read Google service configuration: It is more of a technical term, but in a broader aspect, it is used for Google Maps Integration that is involved in the location tracking and its sharing with friends socially. Hopefully, this gives you a clear idea of the permissions that RailYatri requires to let you access the complete benefits of the app. Mark it clear, the actions behind these permissions are valid enough just to bring the real-time convenience at your end holding all the privacy this access to permission requires. So, to all RailYatris: Ease yourself and simplify your train explorations! I booked the ticket thru Railyatri. but I faced an issue while changing boarding point. Plz let me know any point of contact to discuss this. Hello user. Kindly write to us at care@railyatri.in. Your issue will be looked upon and handled accordingly. Regards.